Elvis. The emotion that he delivers & I feel when I watch him perform—is inspiring in a different way every single time. First and foremost I believe it will become apparent that the genre needs to include women once again—we will see a balance restored. There is truly something vital missing right now, without them. The fact that we have to hope for a future where female artists are played again someday, is so disturbing to me. I think the songwriting and overall sound will depart from the slick and programmed cookie-cutter type songs & tracks—and it will lean back toward signature country music instrumentation and live, emotional sounding tracks. Being an artist in country music making my own records & on tour while continuing my career as a pro songwriter—writing songs full time for movies, TV, theater & other recording artists! I wish I could play the steel guitar. It is the only instrument that can truly cry and everyone knows I love crying onstage every chance I get 😉 But it really brings such a nuanced, gorgeous element that not only exudes emotion but it is truly a cornerstone of country music’s sound. What was the best advice you have ever been given? What advice would you give to yourself at the start of your musical career? Don’t take the rejection to heart. My memories of past rejections both in my career and in my personal life. The well runs deep. It has been amazing to draw from such intense emotions and be able to use them to create songs that have given me a career I love. As an artist, singing my song “The Blade” to a standing ovation by Shania Twain on my first ever national television performance. As a songwriter, writing the entire soundtrack to a major motion picture while waiting tables full time. I just released my first ever music/lyric video for a song that tells my story, called “What I See In Me” and it’s on YouTube now! 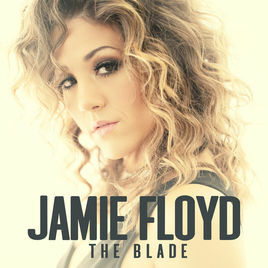 My current single is “The Blade”—which I performed on USA Network’s Real Country! Working on even more new music to be released in the new year too!